While looks really don’t matter in hockey, it certainly helps to make supporting your favorite team easier. The NHL has seen many great jerseys, some even iconic and unchangeable, but it has seen many more mistakes made when changing jerseys, bringing a wrath of jokes and mockery down upon the team sporting it. 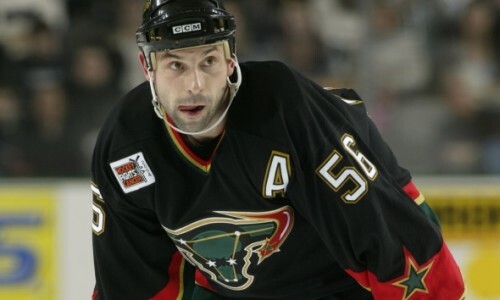 The Dallas Stars are a team that has mostly had some very nice jersey designs, with only one being hailed as one of the ugliest jerseys ever. Read on to see my ranking of the jerseys. You guessed it. 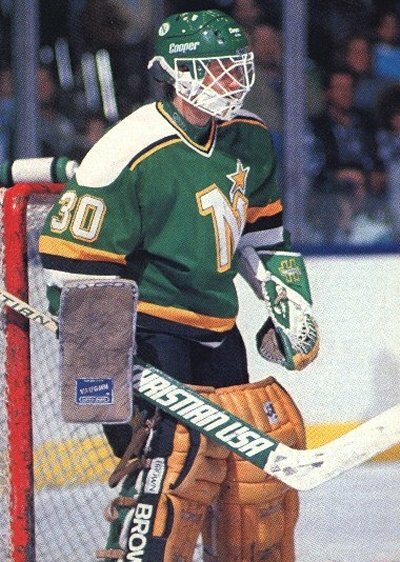 I’m sure before you even clicked the link, you knew this would be ranked as the worst jersey the Stars have ever worn. The actual design of the jersey actually wasn’t that bad, but the execution was horrible. For some reason someone thought it would be good to throw a bunch of red into the jersey, which instantly clashes with the Stars’ typical green, gold, and black. If the red were changed to white, silver, or green, it would have gone better with the Stars color scheme and wouldn’t have looked so bad. If the color wasn’t bad enough, the logo brought down plenty of ridicule on the team. The logo depicts a bull with a constellation over its face. While the idea was pretty cool and a nice reference to the team name, it resembled a certain part of the female body a bit too much. From here on out, none of the jerseys on the list are what I would consider bad or ugly. Aside from the Mooterus sweater, everything else the Stars have worn has looked great in my opinion. In 2007 the Stars decided a change was in order and ditched their famous star-outline jerseys for a sleek black jersey, replacing the logo on the chest with the player’s number and “DALLAS” emblazoned across the front. The Dallas Stars logo could be found on the shoulder patches. Some fans were upset by this change, but it grew on them as a classic design, classy choice, and kept the team looking sharp. If you’ve been a Dallas Stars fan at any point in the last decade and a half, this jersey is probably burned into your mind as the most iconic Stars jersey yet, and is a favorite among most Stars fans. This jersey is the Dallas’ take on the 1996 NHL All Star jersey, changing the colors and ultimately improved what was once a really ugly jersey. 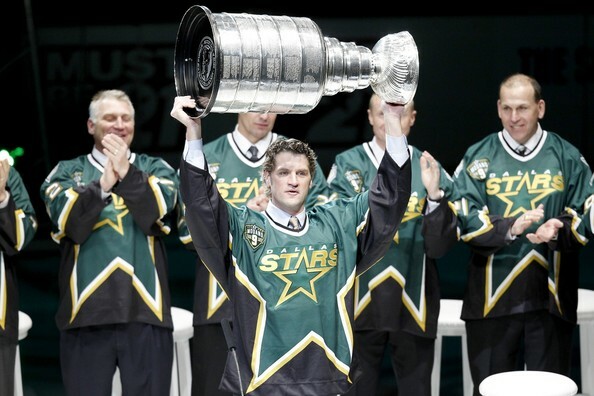 It was introduced as the Stars’ third jersey in the 1998-99 season and is known as the jersey they wore when they defeated the Buffalo Sabres in Game 6 of the 1999 Stanley Cup Finals. 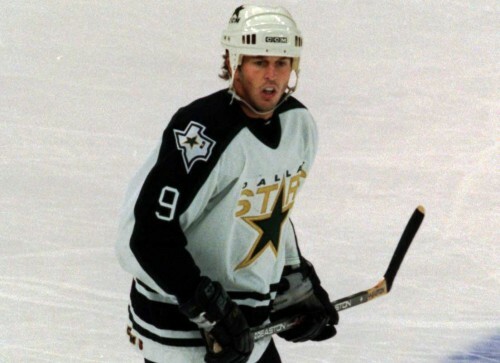 After the 1998-1999 season, the Stars adopted this jersey as their full-time uniform, creating a similar white version. These uniforms were worn until the 2007-2008 season. This is the newest addition the the Dallas Stars jersey history, introduced just before last season. This was a successful attempt by team owner Tom Gaglardi to revitalize the team and give the franchise a breath of fresh air. The typical forest green was combined with the Minnesota North Stars green to create ‘victory green’. The classic Stars logo, which had been used since their 1992-1993 season in Minnesota, was finally changed to a D in front of a Star. Many fans initially rejected this design, but soon grew to not only accept, but love it. The team looks great in these sweaters and made their playoff return in them. Here’s to hoping they can do it again. Yes, I know there were several variations on the classic Minnesota North Stars jersey, but I’ve decided to lump them all together due to the North Stars no longer being a team, and the fact that all the variations are equally as iconic. This sweater instantly brings up memories of yesteryear and images of great players such as Neal Broten, Jon Casey, Brian Bellows, Bill Goldsworthy, young Mike Modano, and so many other greats. The Minnesota North Stars jerseys are forever classics and some of the best NHL sweaters ever. Period. If you’re like me and grew up watching the Dallas Stars, or were just a fan, when they first made their move to Dallas, then you probably love the original jerseys just as much as I do. To me, these jerseys conjure up great memories of a powerhouse team fighting to make it to the top, playing hockey in a place that regularly saw 100°F+, and had fans that had no clue what hockey was at first. These are the jerseys the Stars wore through some of their best moments. Ups, downs, smiles, tears, these sweaters were around for all that.